We walk in the footsteps of a long legacy of peace walkers and spiritual leaders to draw attention to the nuclear dangers that continue to threaten our planet, and the violent robots (RPAs or drones) continuing to kill people monthly, damaging the community of life in the desert. We also focus on the threats of nuclear waste to the Sacred Yucca Mountain. 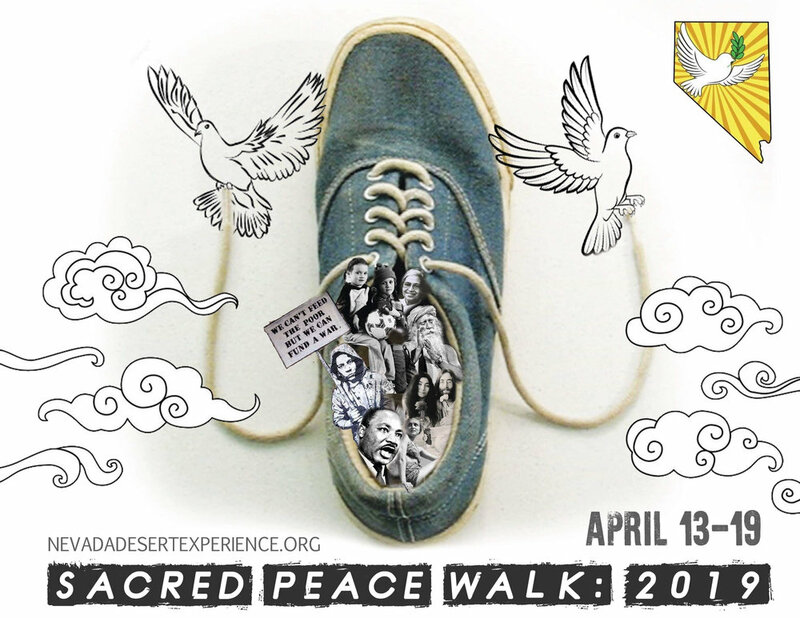 Please join us in transforming fears into compassion and apathy into action during NDE’s annual Sacred Peace Walk!